Hundreds of mothers suffering from postnatal post-traumatic stress disorder are undiagnosed in Wales every year, according to experts. Women who have a traumatic birth are vulnerable to the condition. The Birth Trauma Association estimates 1,000 women every year in Wales will develop PTSD after birth. But just 22 cases were recorded in two health boards last year, while others did not provide figures to a Freedom of Information request by BBC Wales Live. The condition leads to flashbacks and anxiety and experts believe this is the "tip of the iceberg" as it is often unrecognised and misdiagnosed by midwives, GPs and health visitors. Mother-of-two Hannah Freimanis, from Carmarthenshire, said she suffered flashbacks after the traumatic birth of her first son Marleigh. She had an emergency caesarean section and when Marleigh was delivered using forceps, his heart had stopped. "I went from a screaming room of people to deadly silence. I was asking what they were doing and no-one was talking to me," she said. Her flashbacks got worse after an equally traumatic birth with her second son Sebastian three years later. "You're not looking back on an experience. It's not like a memory - you're in it, you're living it." After four years she was diagnosed with postnatal PTSD and treated and is now coping with the condition. But her sons' birthdays still trigger feelings of anxiety: "It never feels completely happy and joyous like it should - I feel selfish even saying that." Ms Freimanis said there was a misunderstanding about the condition and even a "dismissive approach" when it comes to the trauma of childbirth. Figures from the health boards do not include fathers who also suffer PTSD after witnessing a traumatic birth. Mark Williams, from Bridgend, said he still had symptoms 13 years after the birth of his son Ethan by emergency caesarean. He said: "I was totally unprepared for the birth. I knew my wife was in pain just looking at her. I just wanted the baby out - I was getting more and more anxious. "It wasn't until many years later that I realised, the nightmares I was getting afterwards and vivid dreams - waking up thinking has my wife died? Has the baby died? They were telling me then years later that it would've been PTSD." Although the condition is commonly associated with soldiers returning from war, PTSD can be experienced by anyone who has a real fear of loss of life of a loved one or themselves. Prof Jonathan Bisson, who heads up the traumatic stress service centre in Cardiff, said: "Some extreme childbirths are up there in some of the most traumatic experiences and most acute cases of PTSD I have seen. "Primary health services are geared up for postnatal blues and depression so they don't ask questions around the birth and that means it can be mislabelled as postnatal depression, when PTSD is the actual cause. This means it is a lottery as to whether you will get diagnosed or not. "But the number of individuals we see referred to and coming through the traumatic stress service is likely to be a tip of the iceberg in terms of the true amount of people suffering." Since 2015 the Welsh Government has invested £1.5m a year in community perinatal mental health teams to help mothers before and after childbirth. 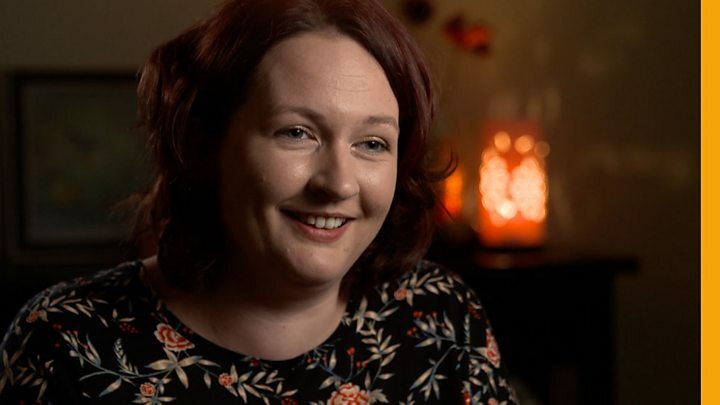 But Sara Moseley, director of Mind Cymru, said: "The level of training in GPs and midwives is really patchy in terms of awareness about perinatal mental health. "Whether you are diagnosed or not depends on two things - whether you come into contact with a health professional who understands mental health problems and at what level of severity it is at. It depends if you are in crisis or living with something." A Welsh Government spokesman said: "Traumatic childbirth or admission to neonatal care is a recognised trigger factor for PTSD in parents. We would expect services to actively manage PTSD using the evidence-based NICE guidelines."